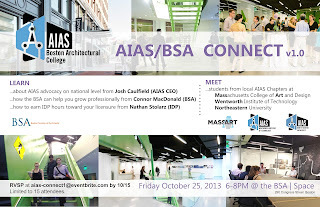 BAC students are invited to RSVP to attend a meeting of AIAS chapters from the BAC, Mass Art, Northeastern University, and Wentworth Institute of Technology. This event is to promote AIAS, get to know students from each school's AIAS chapter, and to learn about other school's chapter goals and studio culture. Joshua Caufield, the current AIAS CEO, will also be at the meeting to talk about the mission and advocacy of AIAS at a national level. 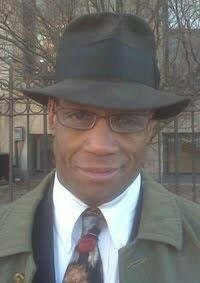 An IDP speaker will give a presentation on how to get IDP hours and speed up the process for licensure. 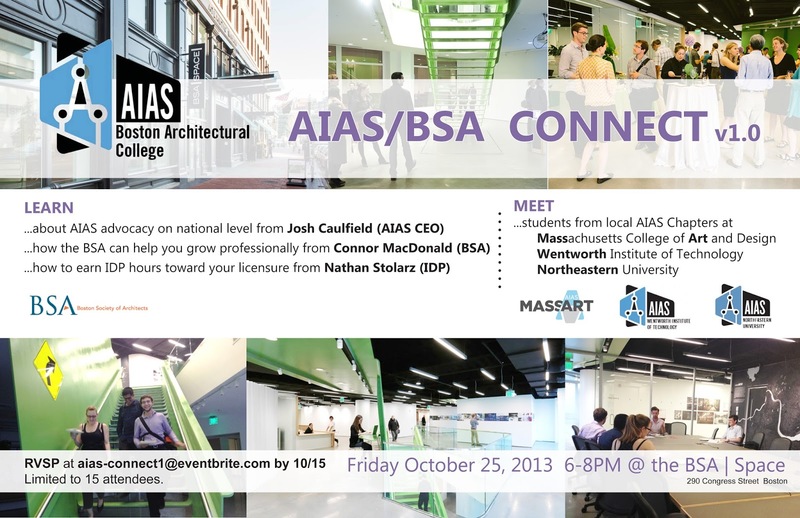 Finally, the Boston Society of Architects will give a presentation on how their organization's resources can help students grow as emerging professionals. 15 spots are available for BAC students. To RSVP, click here by Tuesday, October 15, 2013.